Bye bye boring bits, hello hands-free WP Management. Daily Updates. Core, plugins and themes included. Daily Security Scan. Find nasty Malware fast. Daily Performance Check. Ensure your site is super-speedy. Uptime Monitoring. Peace of mind, 24 / 7.
eCommerce Transaction Testing. Always know your store is online. Established eCommerce store, processing >25 orders per day… ? Have us lovingly craft a custom management plan for your business. Say hello to get started. * Site backups are stored by the ManageWP service. Additional offsite backups are stored on Google Drive. Your data will be encrypted at rest, and in transit. Your data may be held outside the EU. Questions… ? Say hello. – and work directly with you to resolve the issues and get your site update completed. Relax. 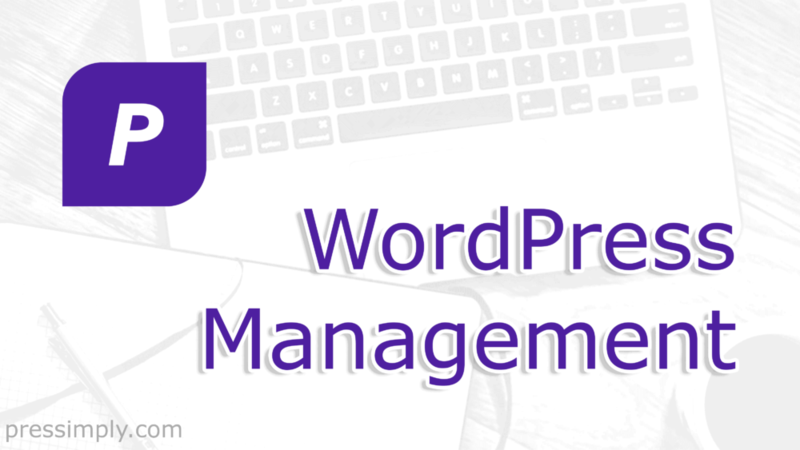 Build your best and get expert WordPress Management from Pressimply to take care of the rest.